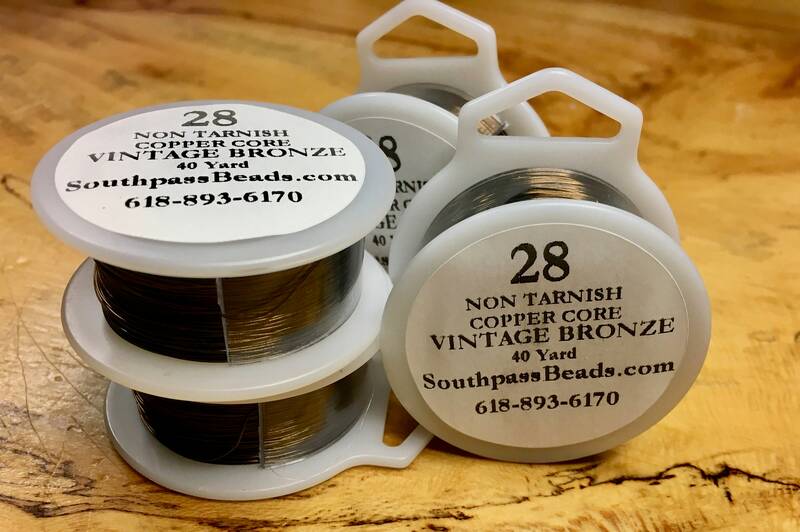 High quality vintage bronze non-tarnish copper wire, 28 ga. 40 yards - that's 120 feet!. Made in USA - professional quality craft wire! For all your jewelry, craft, beading, and other artistic projects! Vintage bronze plated with baked on nylon. Lead and nickel free. Terrific buy...will purchase again. Many interesting things in her shop. Wonderful transaction and very fast shipping! Glad to be able get this wire size from this shop. Fast shipping.